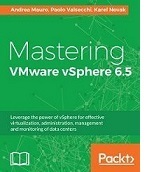 After installing VMware vSphere 6.7 Update 1, Veeam backup fails due to a change in the vSphere API 6.7 introduced by VMware. The processed backup jobs fail with the error "Object reference not set to an instance of an object". If you use Veeam as your backup solution, avoid updating your infrastructure with vSphere 6.7 Update 1 until the issue has been fixed. Currently there is not a fix for this problem but Veeam provided a temporary workaround to allow the jobs to be completed successfully. 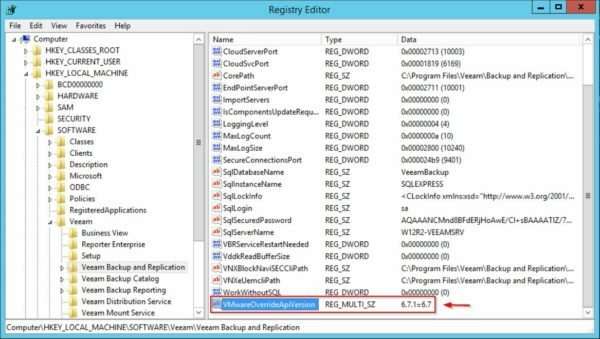 In Veeam Backup and Replication Server you need to create a registry key in the HKLM\SOFTWARE\Veeam\Veeam Backup and Replication section. 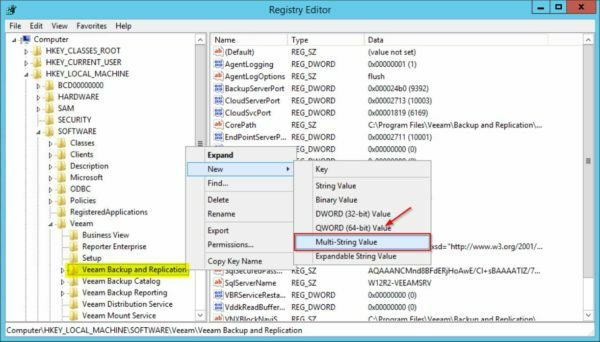 Open the Registry Editor, right click the Veeam Backup and Replication item and select New > Multi-String Value. 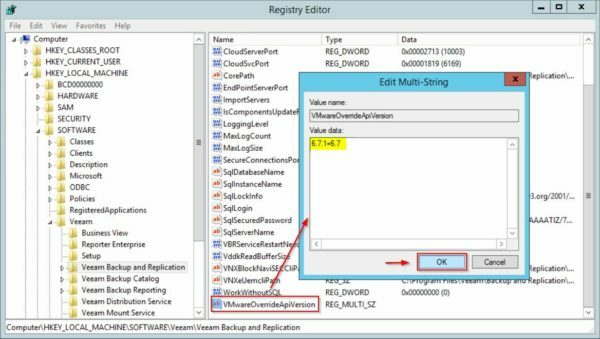 Create the key VMwareOverrideApiVersion and assign the value 6.7.1=6.7. Click OK to confirm. The created new registry key. After creating this registry key, reboot the server and re-run the failed backup jobs. This time the backup job completes successfully. As stated by Veeam in the KB2784, this is just a workaround since overriding the API version may affect other Veeam functionalities. 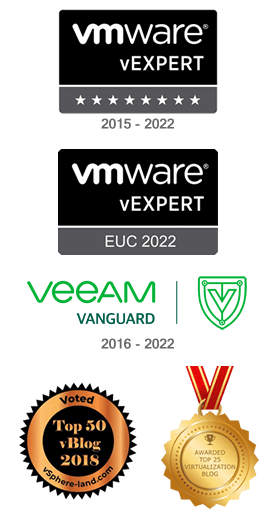 The official support for vSphere 6.7 Update 1 will be included in the upcoming Veeam Backup and Replication 9.5 Update 4. Thanks... this one saved my day. After the recent vca update (6.5 to 6.7) i should have known better. Unfotunatelly it doesn't work on my server. I've migrated from 6.0 to 6.7u1 on friday. Check if the entered registry key is correct. 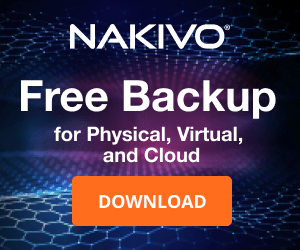 You need to add the registry key on the Backup Server only and reboot. Re-run failed backup jobs and it should work. 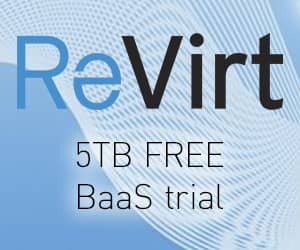 Make sure you have upgraded to Veeam B&R 9.5 Update 3a. Any version below that, the registry workaround will not work.